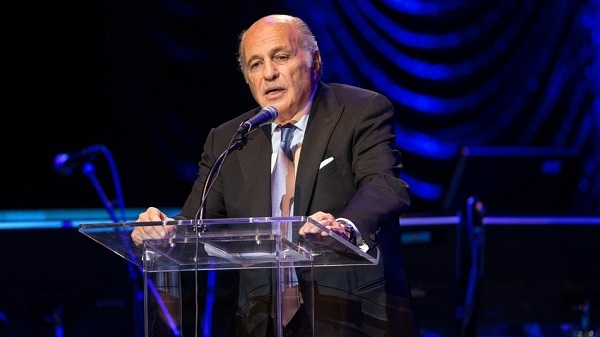 Doug Morris, the Chief Executive Officer of Sony Music said in an on-stage interview today that tomorrow at the World Wide Developers Conference, Apple Inc. will announce it’s highly-talked about music streaming service. It has been long-expected that the iPhone maker to unveil its streaming service at the WWDC, the remarks made by Morris come from someone whose partnership would prove invaluable and essential for such a service to be launched in the market by Apple. In an interview held at Midem at Cannes, Morris said that the launch was going to happen tomorrow. The interview was primarily focused on Morris’s career and progress in the music industry. One of the most important highlights of this career was a partnership with Jimmy Iovine, which lasted for about 37 years. After Apple paid a hefty $3 billion for acquiring Beats, Iovine joined forces with the US tech giant and is now running the music services provided by the firm. Shedding light on the role that Iovine still plays in the music industry, Morris said that it is still his habit to speak to him at least twice in a day by phone. He further said that the move made by Apple of bringing in Iovine for the launch of their service was truly brilliant. In recent years, the Cupertino, California based giant has watched as the business of digital music downloads, which it had pioneered nearly a decade ago, suffered from a huge slump as more and more consumers opted to move towards streaming music. There have been plenty of rumors flying around about the new Apple Music service for months now. The price of the service is expected to be in accordance with the industry standard i.e. $9.99 a month and will include lots of curation by popular musicians and DJs to assist consumers in discovering music. While details about Apple’s pricing weren’t revealed by Morris, he did emphasize that he preferred services that charged their customers instead of ad-supported ones from a financial aspect. Another point to be noted was that he was quite enthusiastic about the expected launch and he also asserted that this would be a ‘tipping point’ for the music industry because it would give the shift from downloads to streaming the boost it needs to become the next big thing. The question is what Apple will bring to this aspect of the music industry. In Morris’s opinion, the cash pile of the US smartphone giant, which is about $178 billion is a huge advantage for the company. Apart from that, the company also has about 800 million credit cards in iTunes. No advertisement has been done by Spotify up till now because it hasn’t been profitable. However, Apple has the resources to advertise, which can turn the tide in its favor and this could have a positive impact on the streaming business. He said that when the tide changes for the music industry, it will benefit all those who are part of it and Apple has the power to do that.